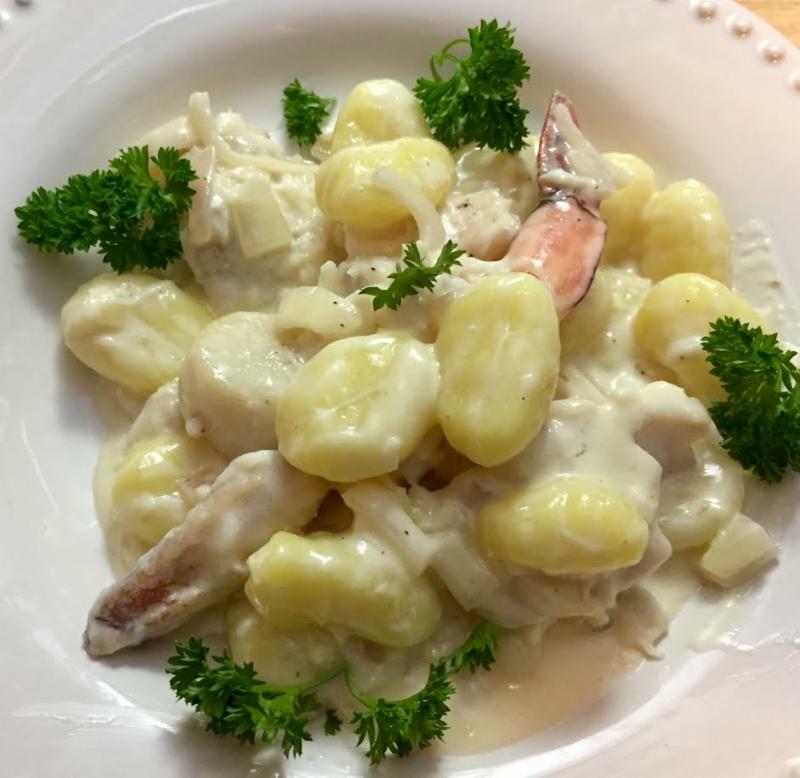 This dish is a little on the ridiculous side - extra creamy and cheesy and hello, amazing seafood! This is a fancy, impressive meal to serve for a special occasion, or if you've got a hankering for homemade gourmet. We're having a little dinner party next week and this is going to be the star of the show! 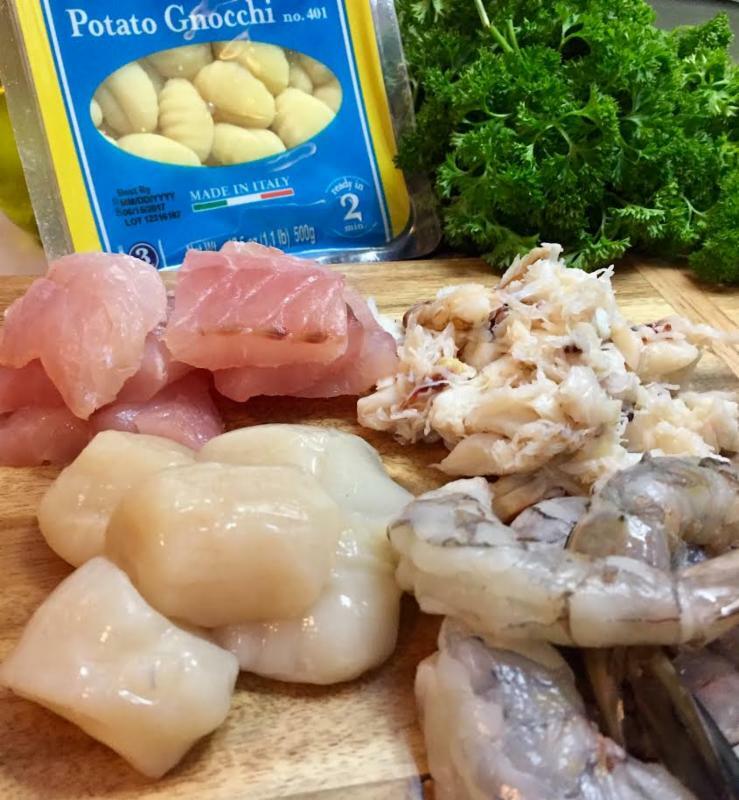 Start by placing a pot of lightly salted water on the back burner on low - we're going to cook our gnocchi in there, but we don't want to throw them in until the very end so we can take the directly from the water and place them in the sauce. We just need the water ready to work with when it's time, so put the pot on and if it reaches a boil fairly quickly turn it down until it's just under a boil and can be ready to rock in a minute or two. In a large fry pan, we'll make the sauce! Drizzle about a tablespoon of olive oil in the pan and add the shallots and garlic. Saute over medium-high heat for about 3-4 minutes until translucent. Add the wine and simmer/reduce for another 2-3 minutes. Add the cream, lemon juice and the cheese, and stir to combine. Let the sauce cook and fully melt together for about a minute, then sprinkle with salt and pepper and set aside for a moment while we cook the fish. In a medium pan, drizzle about a tablespoon of olive oil in and preheat over medium-high heat. 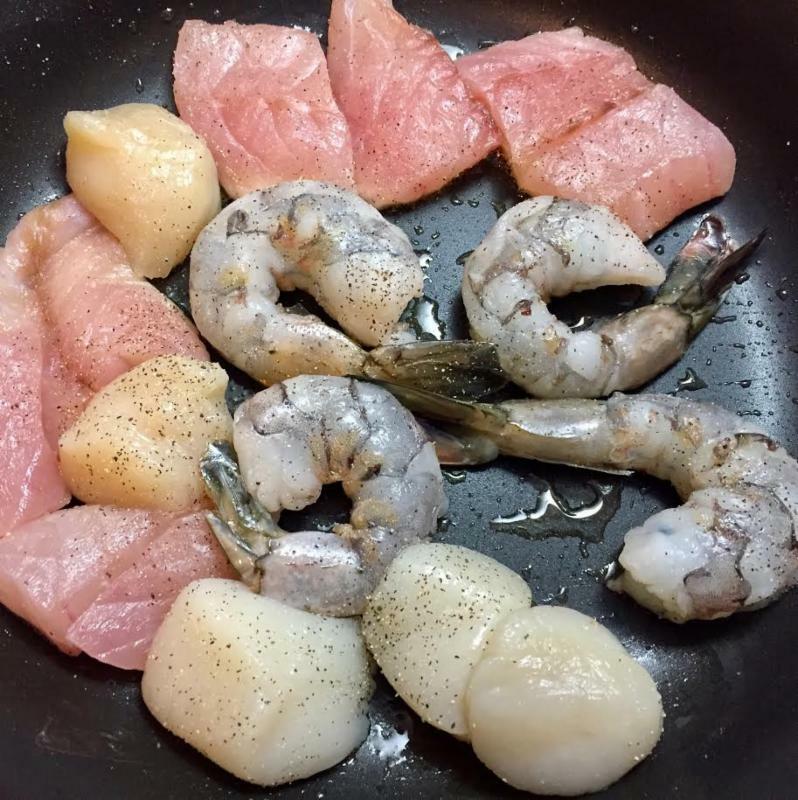 Add your prawns, scallops and cod pieces, and salt and pepper the fish. Cook for 2-3 minutes, then flip everything and cook for about one minute more. Less is more! Add the gnocchi to the boiling water. Give it a stir and keep an eye on it while you combine all of the ingredients. Slide the fish and any cooking liquid from it's pan into the pan with the cream sauce, add the crabmeat, and fold to combine. Keep this warm on a low burner, and as soon as the gnocchi start to float, give them another stir and about 20 more seconds to cook. Drain, and add to the fish and sauce. Fold gently to combine the entire dish, pour the wine and ring the dinner bell! Serve with asparagus or a green salad (the fish dish is *rich*!) and enjoy!